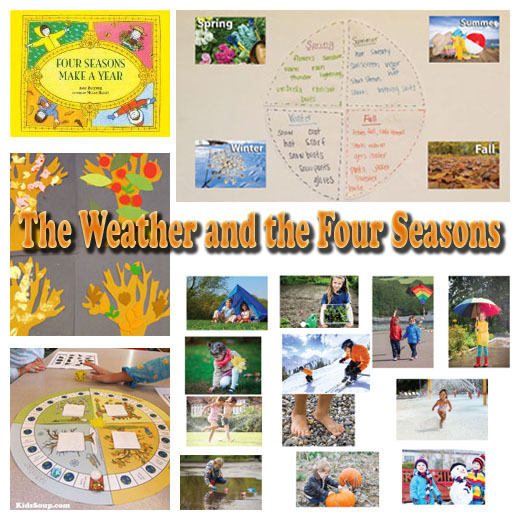 Children will learn about the four seasons and that different kinds of weather and temperatures occur during each of the four seasons. They will use manipulatives such as cards that show the different seasons, play board and sorting games, and produce artwork to increase and demonstrate their understanding of the four seasons. 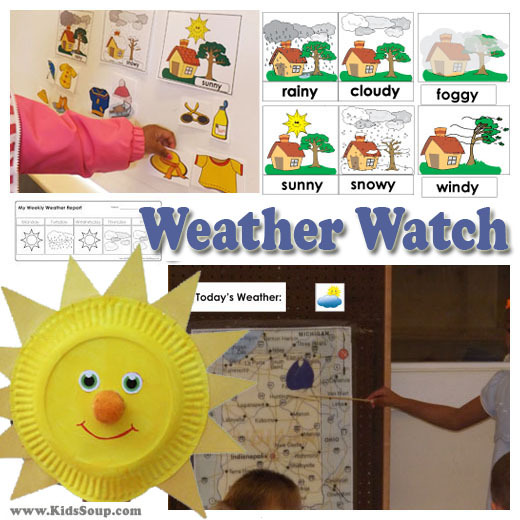 Children will learn about different kinds of weather and the terms that describe weather. They will predict, observe, and describe weather. Using weather cards, they will take turns pretending to be weather reporters to tell about the daily weather where they live and to match the clothing they might wear to a particular kind of weather. Children will learn about the wind. 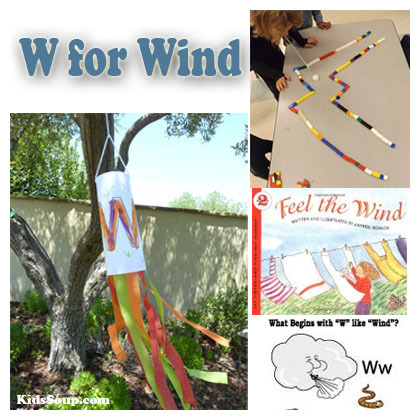 They will explore the characteristics and effects of wind through rhyme, making a Wind-Catcher, using a straw and cotton ball to demonstrate how the wind moves clouds, and reading a fun book. 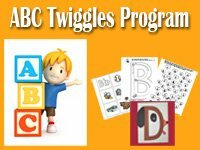 They will also practice writing the letter w and identifying words that begin with sound of w.
Book Suggestion: Come On, Rain! Children will learn about why it rains and why we need rain. 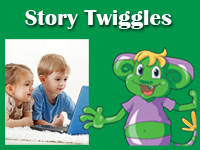 After listening to the book Come On, Rain!, children will experience the phenomenon of rain through movement and rhyme. 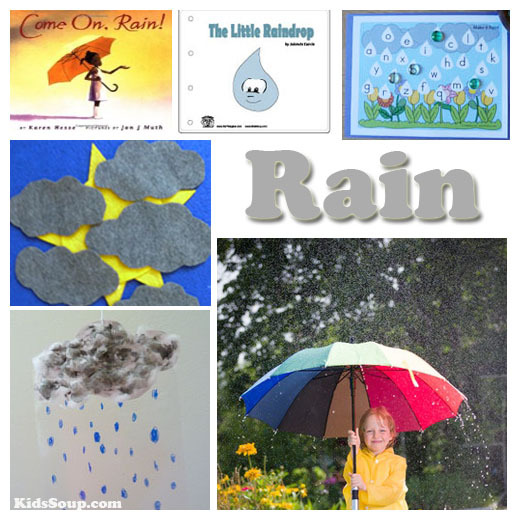 They will learn about the water cycle through reading The Little Raindrop emergent reader, listening to a felt story about rain clouds, and creating rain-related crafts, math activities, and language arts activities. Children will learn about clouds. 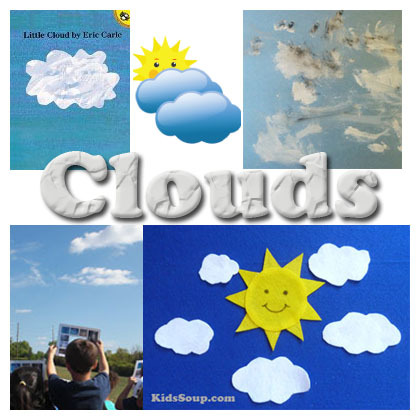 Through discussion, observation, listening to felt stories, and completing cloud and rain related artwork and crafts, children will become familiar with the different types of clouds and will discover that nimbus clouds are the ones that produce rain. Children will learn about the properties of the sun and why the sun is so important to us. Through scientific investigation, children will discover how the sun's heat affects different objects. 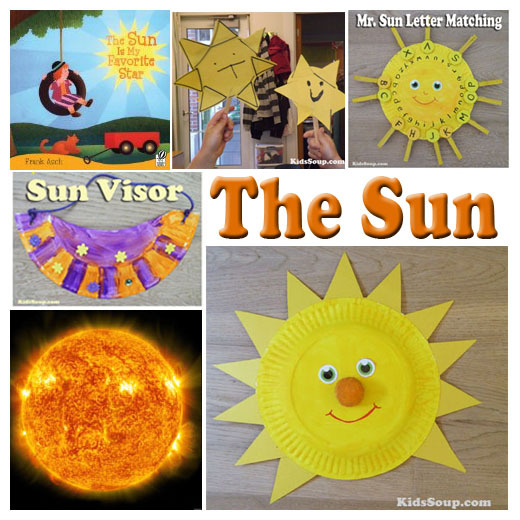 They will also make sun visors, sun puppets, and a paper plate sun as well as play a letter-matching game on a sun game board. 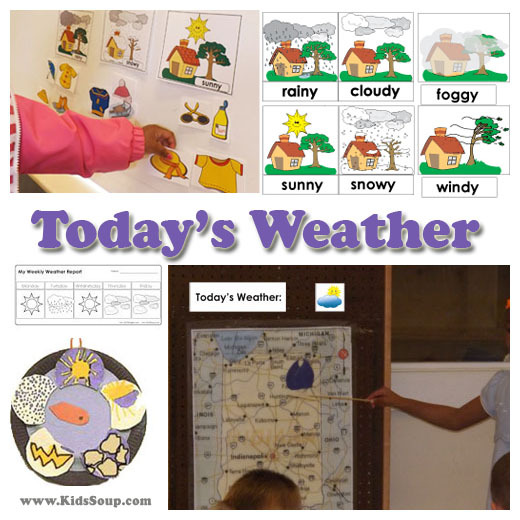 Login to our KidsSoup Resource Library to view all our weather preschool and kindergarten lessons, activities, games, and printables. Become a member for only $26.99 for one year! Get access to our online resource library with all our over 30 themes and 9,000 preschool and kindergarten lessons, and activities for only $26.99 for one year! 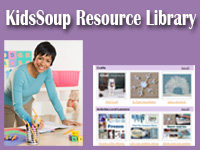 Purchase a KidsSoup Membership Now!